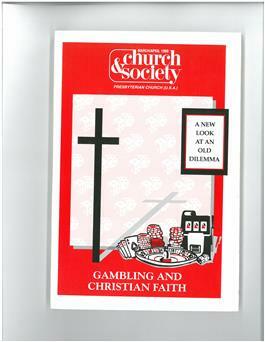 Articles about biblical, theological, historical, policy aspects of gambling and how it affects people, communication and ministry. Actual shipping charges apply to this order at the time the order is processed. Visit www.pcusa.org/acswp/church-and-society.htm to download magazine covers and tables of content.